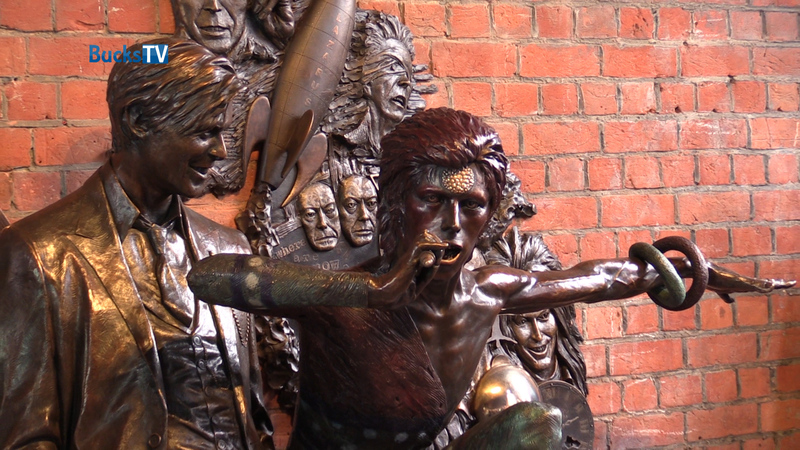 The statue unveiling was a free event which took place at 2pm on Sunday 25 March in Aylesbury’s Market Square. From 12noon there was a stage with live music and also a screen showing Bowie videos. That same evening a Benefit Concert – an amazing festival of Aylesbury music at Aylesbury’s Waterside Theatre. The first time that MARILLION, HOWARD JONES, JOHN OTWAY and THE DUNG BEATLES have ever played the same gig together.